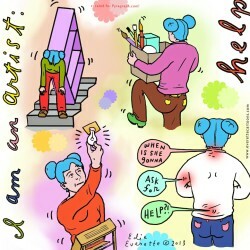 Edie Everette creates cartoons with the correct angle on culture and news. 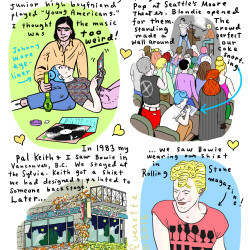 Cartoonist Edie Everette shares her most beloved David Bowie memories. 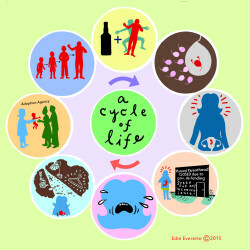 Cartoonist Edie Everette shows what a cycle of life would look like without Planned Parenthood. 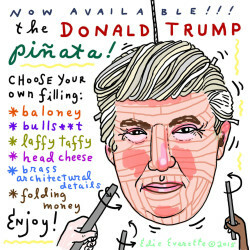 Just in time for your Republican debate party, the Donald Trump piñata! Choose your own filling! 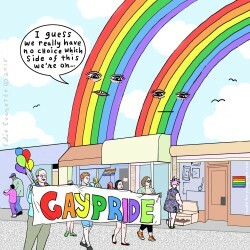 The recent SCOTUS decision on marriage equality impacts rainbows, too. 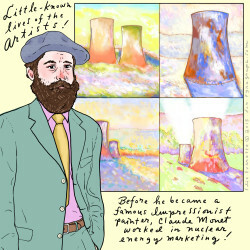 Cartoonist Edie Everette shows us what industry Monet worked in before becoming a famous Impressionist painter. 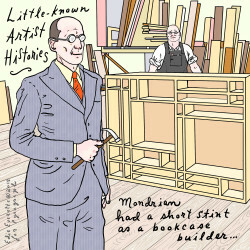 Cartoonist Edie Everette shows us what Mondrian may have made in the early days of his career. Edie Everette gives a tour of little-known artist histories, starting with Van Gogh’s humble beginnings. 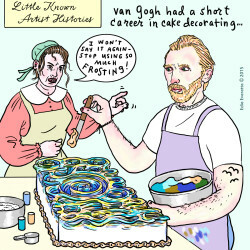 Edie Everette shows what it’s like to make gingerbread with famous artists. 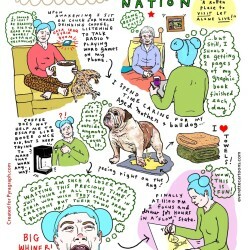 Edie Everette gives a tour of Procrasti-Nation, with helpful tips to maximize your wasted time AND your guilt. Edie Everette chronicles the evolution of the precious paint drip. Edie Everette’s script for the video interview every artist dreads. 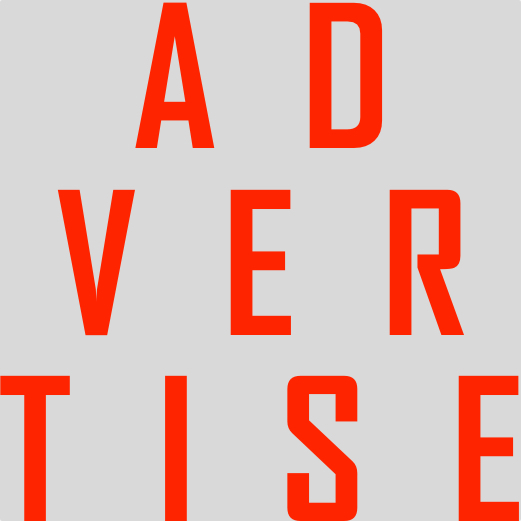 If an artist finds commercial success, does it mean she’s necessarily sold out? Can money reliably be the result of authentic/natural art? 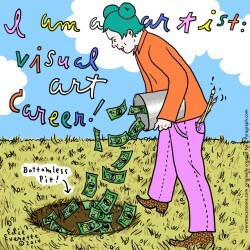 Cartoonist Edie Everette asks, “Where does all the money go?” for those pursuing a visual art career. 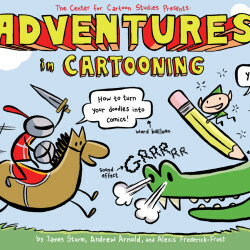 James Sturm is director and co-founder of the Vermont-based Center for Cartoon Studies, a school devoted to cartooning and sequential storytelling. 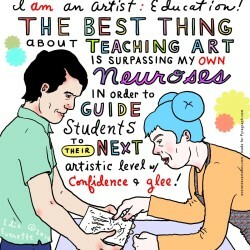 The best thing about teaching art is surpassing my own neuroses to guide my students. You might think you can do it all, but your back, shoulders and psyche beg to differ. 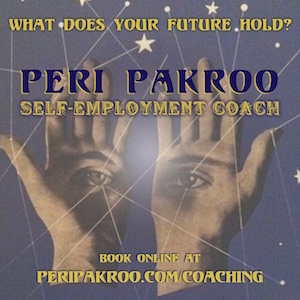 Do you know when it’s time to ask for help?